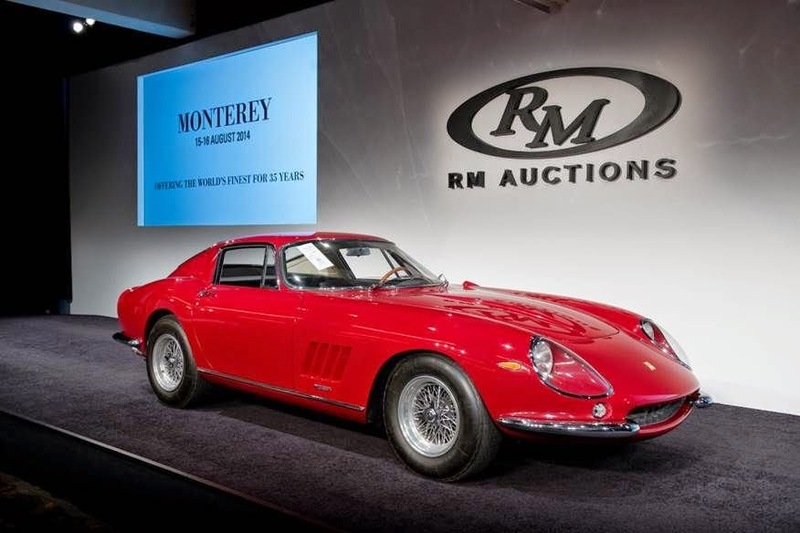 One of the most highly anticipated lots of Monterey Car Week, the ex-Steve McQueen 1967 Ferrari 275 GTB/4, entered the history books on Saturday night, selling for a record $10,175,000 at RM’s flagship Monterey sale. While the McQueen four-cam lent star power to the RM sale, the true highlight of the night was a 1964 Ferrari 275 GTB/C Speciale, one of just three built. Dubbed the ’65 GTO, the extraordinarily rare Speciale roared onto the auction stage, with bidding opening at $15 million. In total, six Ferraris led a string of 21 individual million-dollar-plus sales during the Saturday sale. Among other highlights were the Austie Clark 1911 Mercer Type 35R Raceabout, offered from single-family ownership since 1949, which realized a superb $2,530,000; and a 1971 Lamborghini Miura SV, which sold for $2,090,000. The RM group of companies rounds out a tremendous week on California’s Monterey Peninsula Sunday, August 17 with four motor cars freshly prepared by RM Auto Restoration set for display at the Pebble Beach Concours d’Elegance. In 2013, RM’s restoration division cemented its reputation as the world’s leading restorer of fine automobiles when the 1934 Packard 1108 Twelve Dietrich Convertible Victoria restored by the company was judged Best of Show. The accolade marked the fifth time RM Auto Restoration has been awarded the event’s top honor in the new millennium—an unprecedented achievement. Complete official results for RM’s Monterey sale are posted at www.rmauctions.com . RM Auctions is the world’s largest auction house for investment-quality automobiles. Celebrating 35 years in the collector car hobby in 2014, RM’s vertically integrated range of services, from restoration to private treaty sales, auctions, estate planning, and financial services, coupled with an expert team of car specialists and an international footprint, provide an unsurpassed level of service to the global collector car market. For further information, please visit http://www.rmauctions.com, find us on Facebook, or follow us on Twitter @rmauctions.